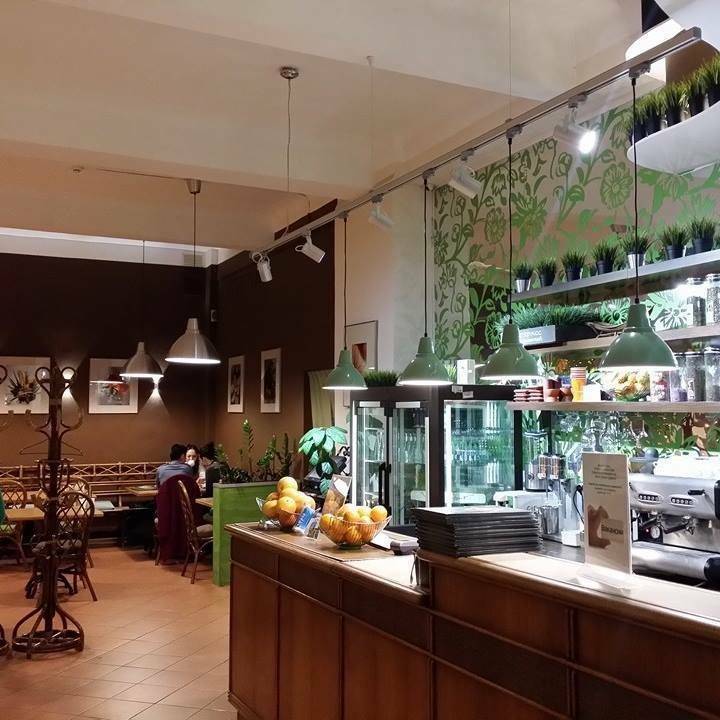 There are not yet many vegetarian cafés and restaurants in Moscow, but there are still places where you can find decent vegetarian dishes. 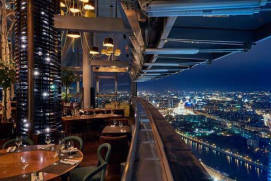 In Moscow, these include certain cafés, restaurants, dining areas and culinary cafés. Most of these are in the city centre. Several great places are located on MaroseykaRussian: Маросейка, TverskayaRussian: Тверская and Bolshaya DmitrovkaRussian: Большая Дмитровка Streets, just 15 to 20 minutes from Red Square. 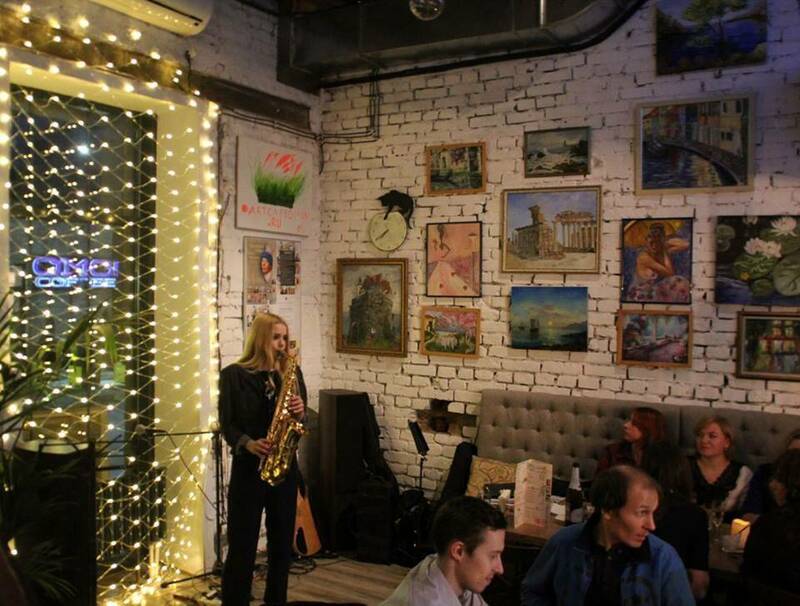 Vegetarian cafés and fast food places are also available in ArtPlay, Krasny OktyabrRussian: Красный Октябрь and other trendy cultural clusters popular with the intellectual youth. Importantly, the menus of thousands of ordinary restaurants and chain cafés in Moscow also offer vegetarian dishes. This part of the menu is increasingly varied during Orthodox fasting days (late February to early April and June to early July) when demand for dishes cooked without meat or milk ingredients rises sharply. In the centre of Moscow, there are spots offering vegetarian food within walking distance from the major architectural landmarks. 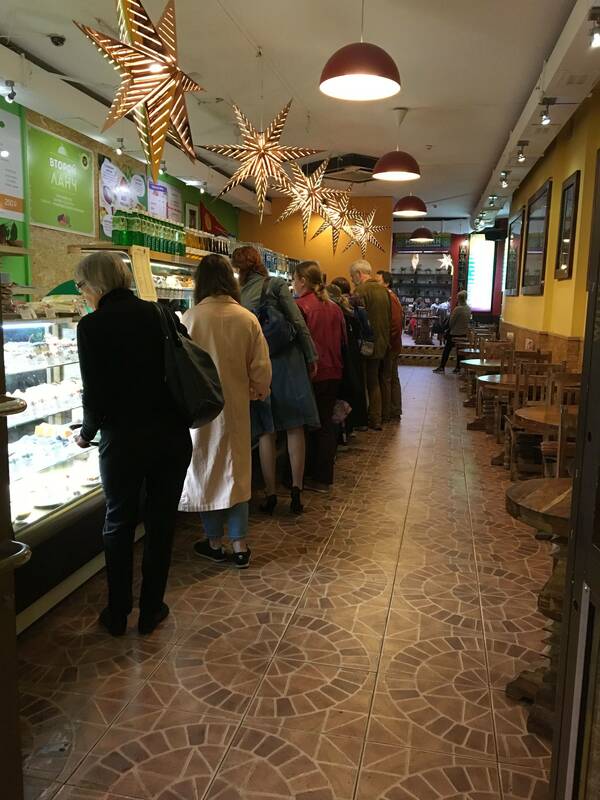 Two vegetarian places – DjagannatRussian: Джаганнат and Loving Hut – share the same building situated on a popular pedestrian street (4, Maroseyka Street). 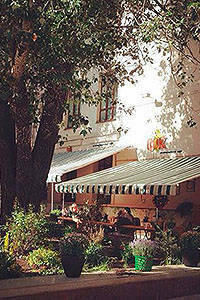 In the early 2000s, Djagannat was, arguably, the only restaurant in Moscow to offer a decent vegetarian menu. Today, this small restaurant chain has six locations, all of them in the city centre. Here, you can have a solid meal at rather reasonable prices for Moscow standards. The average bill is 600 RUB. Djagannat offers a mix of vegetarian dishes from all over the world: India, Europe, Thailand, China, Mexico and, of course, Russia. Here, you can try traditional Russian dishes, such as borsch or pearl barley porridge and many dishes on the menu will satisfy even the healthiest appetite. Djagannat offers a great variety of hand-made desserts, including rasa, burfi, halva, sherbet, peanut ladoo and quick yeast breads. 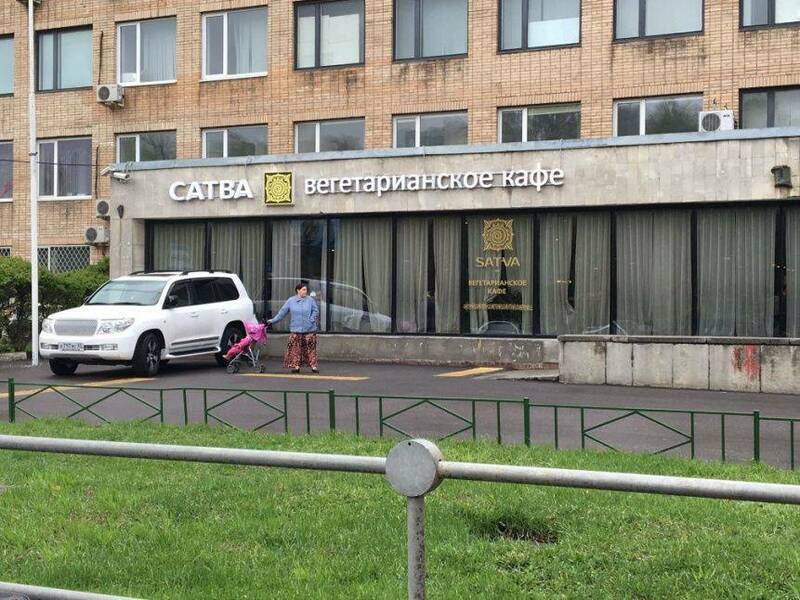 Reasonably-priced business lunches are available too (250 RUB). This place usually gets crowded and noisy during the lunch hour. 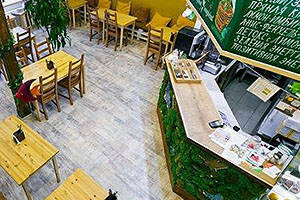 The restaurant also has a store selling vegetarian food. 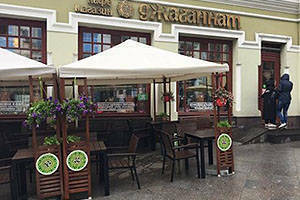 Another Djagannat restaurant (11, Kuznetsky Most Russian: Кузнецкий МостStreet) is located a 20-minute walk from the Kremlin. Loving Hut is a small vegetarian café that is tricky to find. It has no sign of its own, so look for a sign saying “BorodaRussian: Борода” (beard). Under it, you will see the entrance to the building in which Loving Hat is located (you’ll need to go up to the third floor). 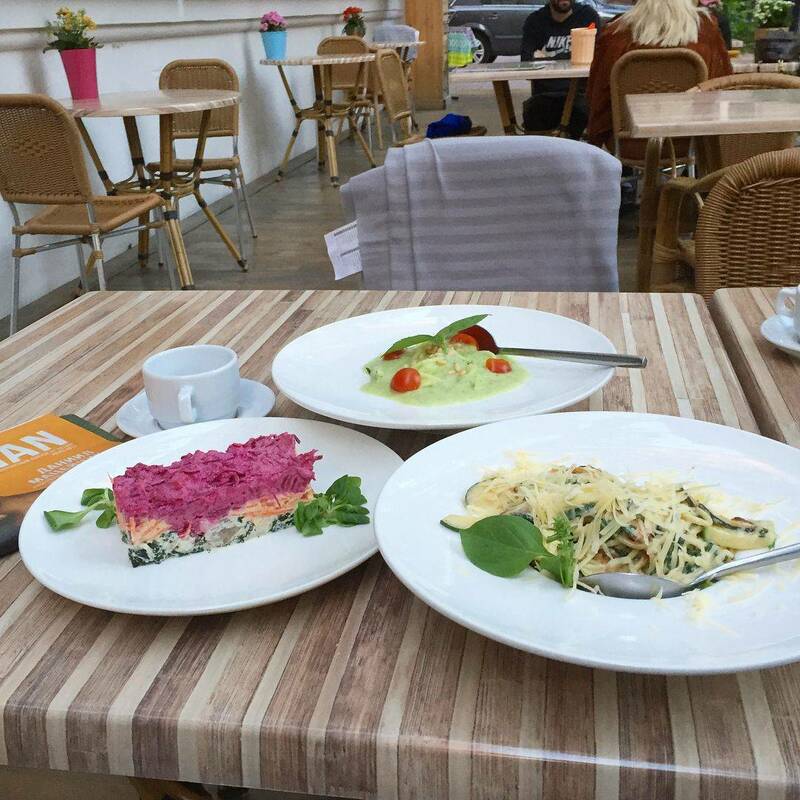 This café uses only vegetarian and raw food ingredients. 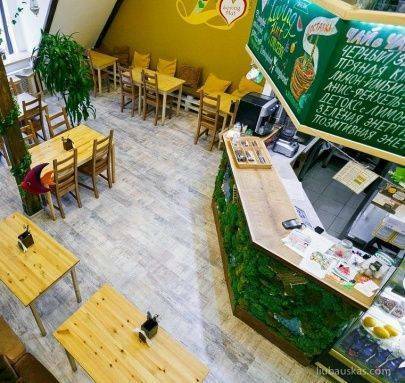 The menu offers several kinds of pizza for 450 to 590 rubles, 350-ruble sunflower seed cutlets and pumpkin with buckwheat, 250-ruble falafel, vegan doner kebab and three varieties of soup. Business lunches are available from noon to 4 pm: soup + falafel (or the daily special) + tea will cost you 250 to 300 rubles. The desserts part of the menu has some interesting choices, such as 55-gram raw chocolate bars made from natural ingredients (250 RUB each). 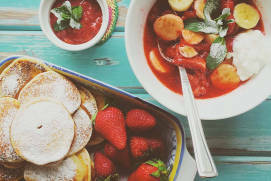 Italian and Russian dishes and a wide choice of desserts cooked without eggs or refined sugar, such as nut candy and dried fruit. On the menu are a dozen salads (295 to 415 RUB) and soups (225 to 385 RUB), including raw food borschs and cream of buckwheat grass soups. The interior is done in light, warm colours and has wooden furniture. Visitors can also flip through art albums or read books on painters during their lunch or dinner. There is a 20% discount on all dishes from noon to 4 pm on weekdays. 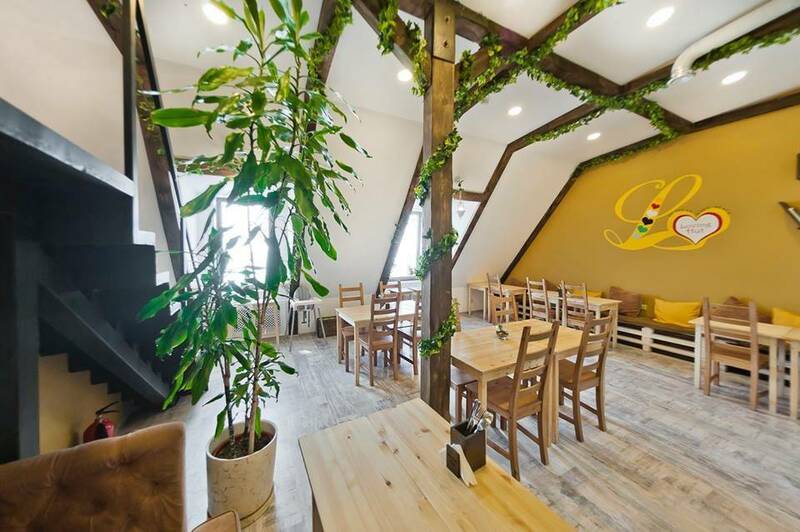 SeldereyRussian: Сельдерей, a tiny vegetarian café, is located a 15-minute walk from the Tretyakov Gallery at 32, Bolshaya YakimankaRussian: Большая Якиманка Street. 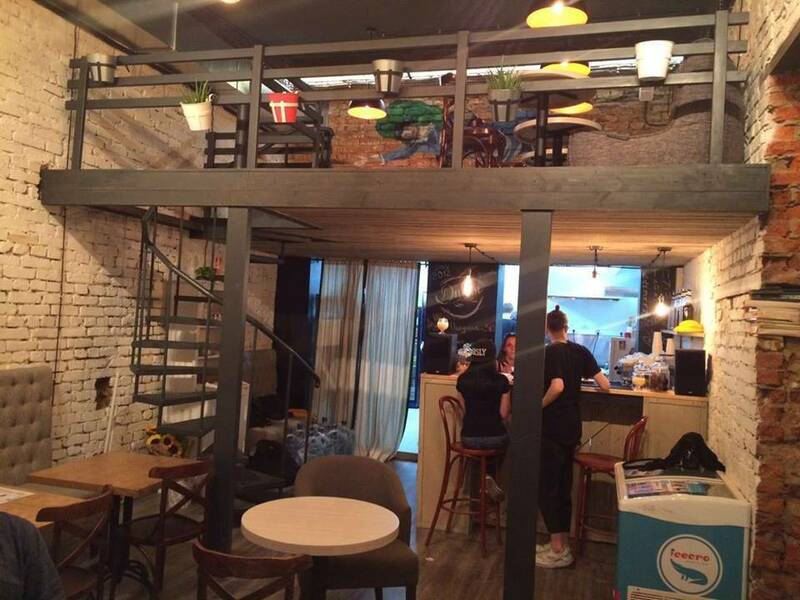 The place is so small that it can fit only two tables. The menu is classic, with falafels, garbanzo bean cutlets, hummus, pasta and soups. 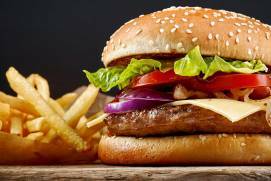 Vegetable burgers (250 to 320 RUB) and desserts are also available. Most dishes are baked, but some are suitable for raw food eaters too. Ideal for quick meals, this place also sells food to go. If you happen to visit the ArtPlay Design and Architecture CentreRussian: Tsentr dizayna i arkhitektury «ArtPlay» or Центр дизайна и архитектуры «ArtPlay» (10/12, Nizhnyaya SyromyatnicheskayaRussian: Нижняя Сыромятническая Street), have a bite at the vegan café Fruits&Veges (or Frukty&OvoschiRussian: Фрукты&Овощи), but don’t be surprised at its unusual atmosphere and design. While the café itself looks more like a multicoloured barn, it’s a comfortable place to grab a bite to eat. 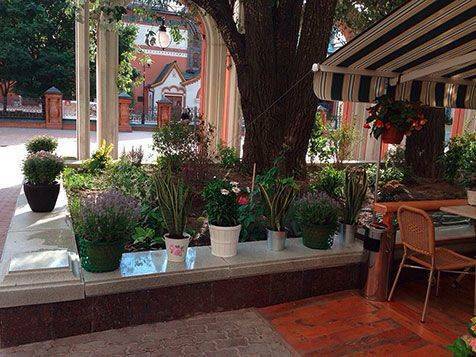 Business lunches are served from noon to 4 pm (soup + hot dish + salad) and range in price from 250 to 300 rubles. A falafel roll will cost you 150 rubles. Skatert-samobrankaRussian: Скатерть-самобранка ( “magic tablecloth” in Russian) is Moscow’s only café serving up dishes that have not been heated and are thus ideal for raw food eaters. Located a short distance from the Garden RingRussian: Sadovoe koltso or Садовое кольцо at 11, LyusinovskayaRussian: Люсиновская Street, this extremely small café with only a couple of tables is actually more like a store selling freshly cooked raw food dishes. 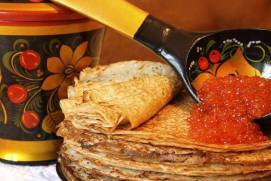 The menu offers raw pizza (150 RUB a slice), flax cutlets, spelt pancakes, 150-ruble rolls stuffed with sunflower seed pate and 150-ruble cakes. Most dishes on the menu are inspired by Russian fairytales, along with the name of the café itself. The 200-ruble salads are named “A FirebirdRussian: Zhar-ptitsa or Жар-птица” and “The Sea King’s CoatRussian: Shuba morskogo tsarya or Шуба морского царя”. This restaurant is cash-only. 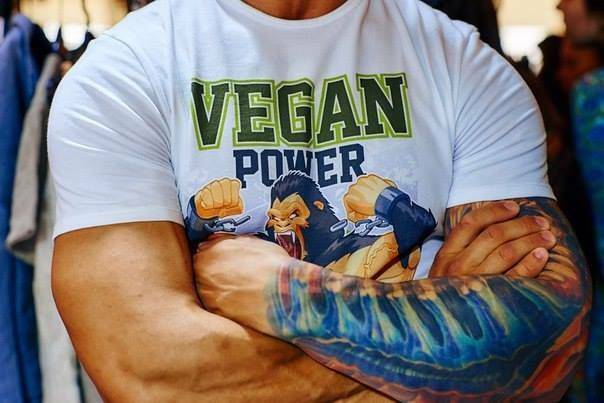 AvocadoRussian: Авокадо is a vegetarian, vegan and raw food café. 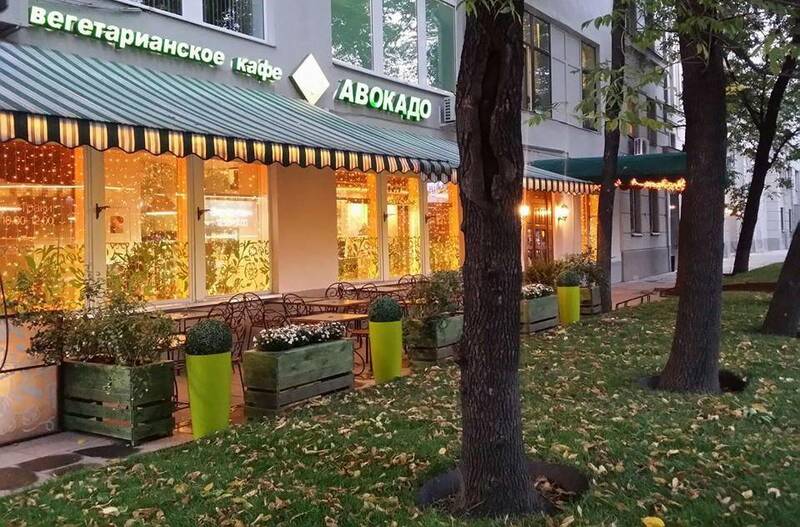 In Moscow there are, in fact, two Avocados, the one at 5/6, Tverskaya Street and the other at Bldg. 2, 12, Chistoprudny BoulevardRussian: Chistoprudnyi bulvar or Чистопрудный бульвар. 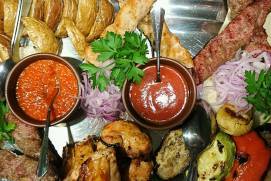 Dishes served here come from all over the world, including Italy, France, Greece, the USA and Asian countries. You can choose from a variety of pastas and enjoy risotto, lasagna, hummus or Lebanese-style stuffed eggplant. The European interior is furnished in light colours. Avocado occasionally also hosts music concerts. The menu offers a wide variety of smoothies and fresh juices; raw food dishes are conveniently separated out for ease of menu perusal. 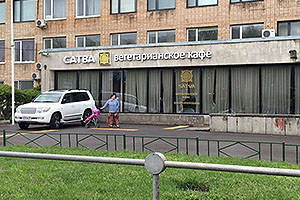 Two somewhat pricey FreshRussian: Фреш vegetarian restaurants echo the name of a Canadian vegetarian café chain. Dmitry and Irina Azarov imported the Canadian idea into Russia, creating a great food facility serving up delicious food. The menu offers hot and cold dishes. Hot dishes includes all kinds of grilled steaks made from tofu, herbs, sunflower seeds and kidney bean sprouts (prices start 500 RUB). 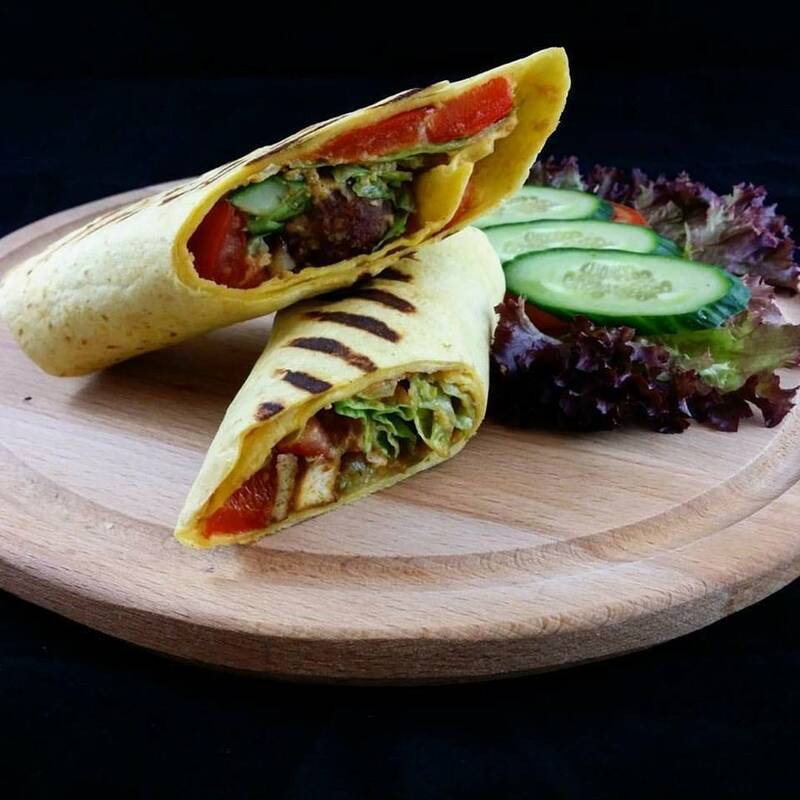 You can also try burritos (550 RUB) and burgers with mushrooms, seitan, vegetables and herbs (400 to 500 RUB). 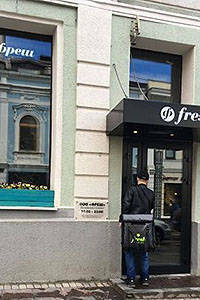 Business lunches are available on weekdays; one juice, one soup and one sandwich will cost you 250 RUB. Fresh selections include unusual lemonades, for instance, a mix of apple, palm fruit, mead, mint, lemon or grapefruit, ginger, lemon and grape (prices start at 250 RUB). The dessert menu is extremely varied – you can order a familiar-sounding dessert, such as a chocolate brownie, a carrot cake, a cheesecake or a Napoleon cake, with the exception that they are made without eggs or milk. Other desserts include raw chocolate and pineapple pancakes. The menu is available in Russian and English. 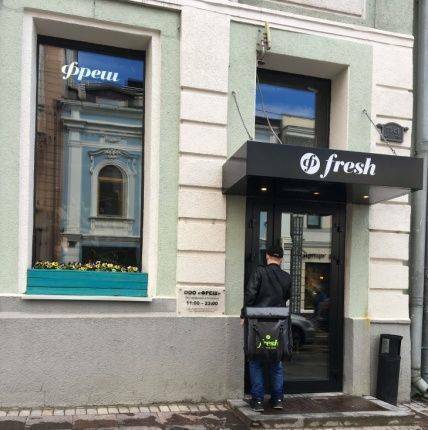 Fresh cafés are located at 11, Bolshaya Dmitrovka Street and at 10/7, Yermolayevsky LaneRussian: Yermolaevskiy pereulok or Ермолаевский переулок on Patriarch PondsRussian: Patriarshie prudy or Патриаршие пруды. 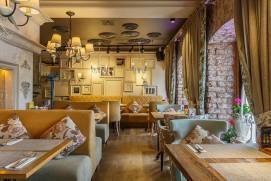 Another Fresh restaurant is located on Bolshaya Dmitrovka Street. It’s a 20-minute walk from the Kremlin, and you can take in the view of such landmarks as the Historical MuseumRussian: Istoricheskiy muzey or Исторический музей or the Bolshoi TheatreRussian: Bolshoy teatr or Большой театр on your way from the Kremlin to the restaurant. 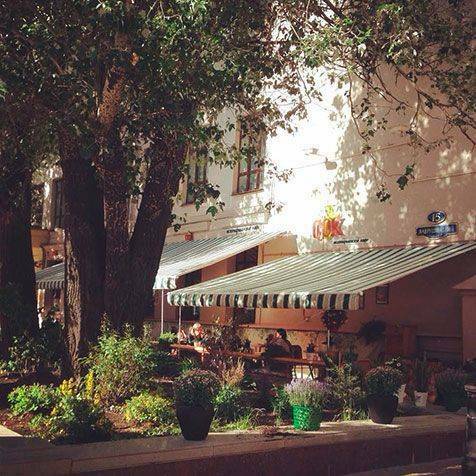 You can also combine your visit to the Fresh restaurant on Patriarch’s Ponds with a stroll in this picturesque neighbourhood and a sightseeing tour to the places associated with Mikhail Bulgakov, such as two museums near Patriarch Ponds, on Bolshaya SadovayaRussian: Большая Садовая Street, which are dedicated to this Russian writer. 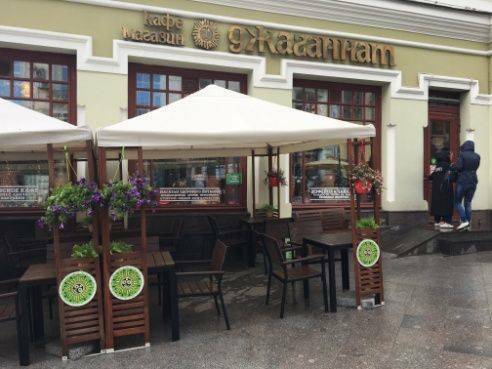 In North-West Moscow, at 19A, KuusinenaRussian: Куусинена Street, is SatvaRussian: Сатва, a vegetarian restaurant adjoining the Indian Cultural CentreRussian: Tsentr indiyskoy kultury or Центр индийской культуры. This relatively small self-service venue serves up reasonably-priced dishes from all over the world. You can choose from seven or eight salads, two or three soups and a dozen hot dishes. Try some delicious baked goods, especially the potato and cabbage or the berry cakes and pastries. Opposite the restaurant is Beryozovaya RoshchaRussian: Берёзовая роща (“Birchwood” in Russian), a municipal park with children’s playgrounds. The Serebryanny BorRussian: Серебряный Бор (Silver Wood) pine forest reserve is located in the same area, closer to the outskirts of the city. In summertime, it is one of the few locations in Moscow where you can swim and sunbathe on well-equipped beaches.